There are many forms of interior application that require a fully waterproof sealant. Whether it’s an industrial-sized assembly as part of a large construction project, or simply something for your home DIY efforts, we offer a range of technologies covering the extent of your waterproofing needs. Waterproofing is a complex process that varies greatly depending on your individual circumstances and sealant demands. If you need support or have any queries regarding waterproof sealant for your construction project, contact our technical support team for direct consultation from experienced industry professionals. At Bostik, we understand that not only is strong, secure waterproof technology important for large industrial installations such as swimming pools or chemical holding tanks, but also for domestic duties and assembly processes, such as basement damp-proofing. Our waterproof sealant products for interiors are designed and manufactured using the highest level of chemical expertise to stop water pressure and prevent any pools or leaks from forming. Our waterproof sealants also work to stop the rise of moisture through porous background substrates, the most common for this type of project being concrete, brick and stone. Issues with most swimming pool installations arise when large volumes of water attempt to force their way through the wall of your construction space. 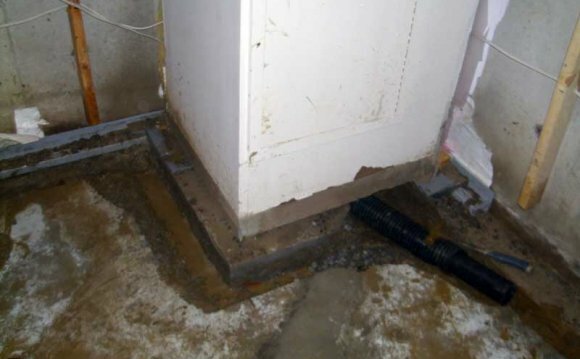 Our cement-based solutions and acrylic sealant formulations are specially designed to stop this ‘positive water pressure’ from causing damage to your projects. However, if you are working on a subterranean installation, such as a basement, you’ll need a solution aimed at preventing ‘negative water pressure’ - the process of water or moisture coming into your domestic space. It is important to not only select your waterproof sealant based on the need to protect against negative or positive water pressure, but also on the intensity of this water pressure or moisture migration. If you need advice on using Bostik products before applying your sealant, contact our technical support team. Our SMPs are acid-free, and are perfect for waterproofing installations. Bostik’s silylated modified polymers are capable of bonding to the same variety of substrates as a standard silicone sealant, but possess a much higher bond and peel strength.